The region of West Bohemia boasts of abundance of mineral springs. The mineral springs date back to the period of Tertiary volcanic activity. 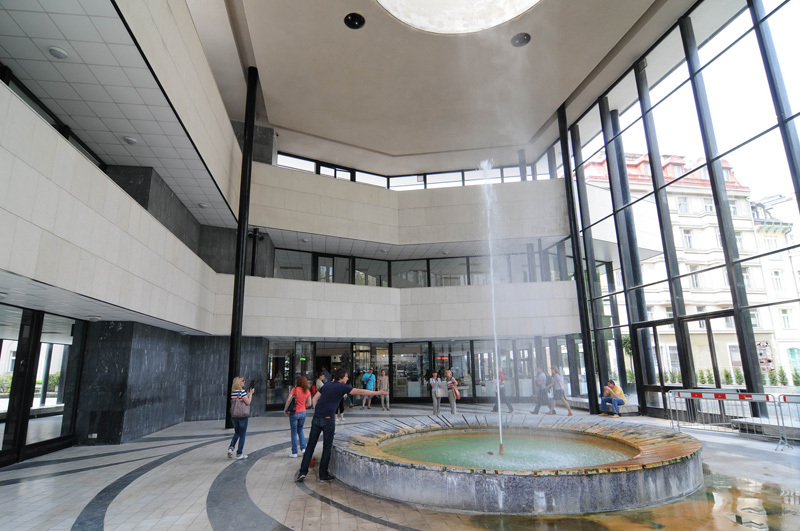 60 mineral springs rise in the area of Karlovy Vary, namely lukewarm and hot springs. From time immemorial people have used especially hot springs. All Karlovy Vary mineral springs rise in a fault line of aragonite slab in the valley of the Teplá river, which intersects as axis in this line. The fault line includes the area from Parkhotel Richmond as far as the Park colonnade. Karlovy Vary was founded by the emperor of the Holy Roman empire and the Czech king Charles IV. A romantic legend informs us about this event. 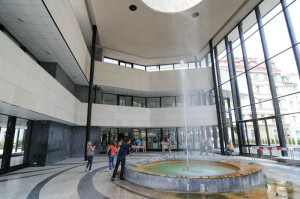 “Spa tourism” started only after the foundation of the town. The healing powers of the 12 traditional mineral hot springs are used for treatment and their temperature ranges from 42 – 73 °C. Several other mineral springs have been used recently, as for example the cold spring “Štěpánka” or the “Iron Spring” and the tepid “Snake Spring”.